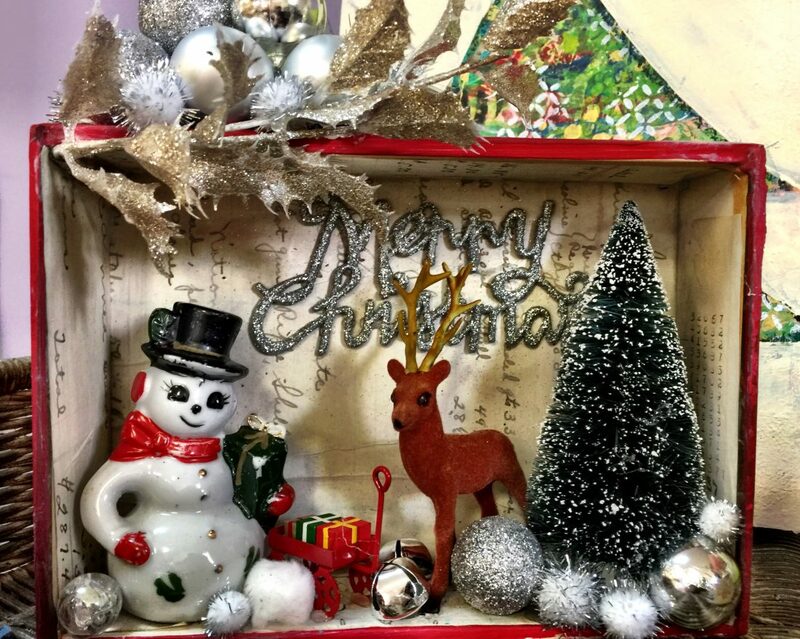 I LOVE the kitsch associated with Christmas! Slightly loved ceramic figurines made long-ago. Silver tinsel. Little bottle-brush trees in an array of colors not necessarily found in nature. 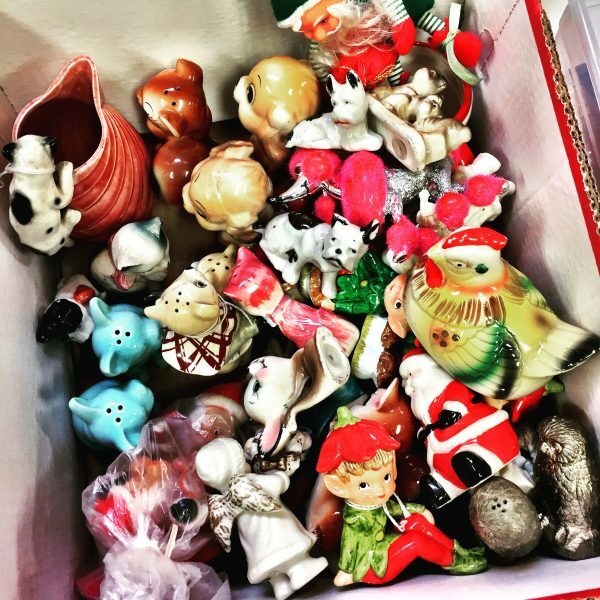 A junker at heart, I’ve been picking up little Santas, ornaments, and doo-dads for years. So much so it’s taking up much-needed shelf space in the Studio. I figured I could part with my treasures if I shared them with like-minded glitter-lovers in a workshop making shadowboxes. 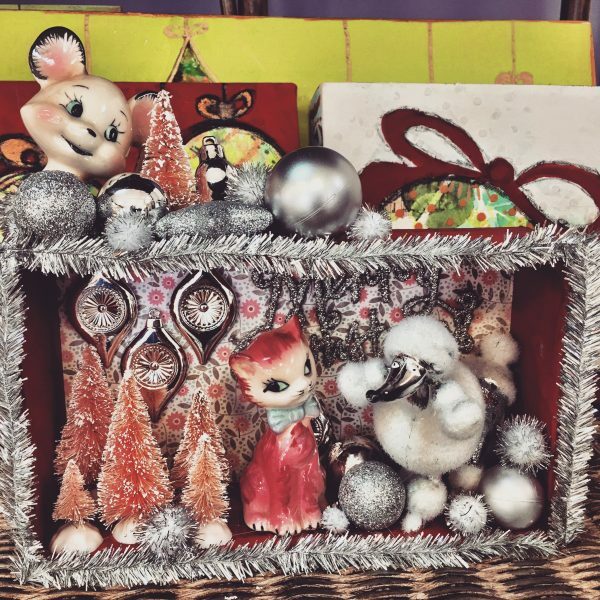 You’ll be able to dig through our stash BUT feel free to bring small items you love for your shadowbox.